USDA Certified 100% Organic Third Trimester Tea was formulated as a tonic for mamas who are heading into the home stretch (pardon the pun)! This delicious blend of vitamin and mineral packed herbs was formulated especially to nurture all those mama parts gearing up for the joyous arrival of your angel baby. 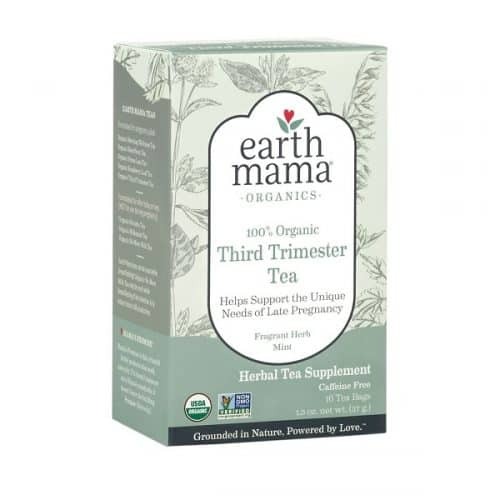 Blended with 100% organic herbs, including Red Raspberry Leaf (an all-around great pregnancy herb), iron-rich Stinging Nettle, calming Chamomile and Rosehips (both full of vitamins and bioflavonoids), and calcium filled Oat Straw, Third Trimester Tea is a brilliant blend of Mother Nature's gifts to mamas-in-waiting.